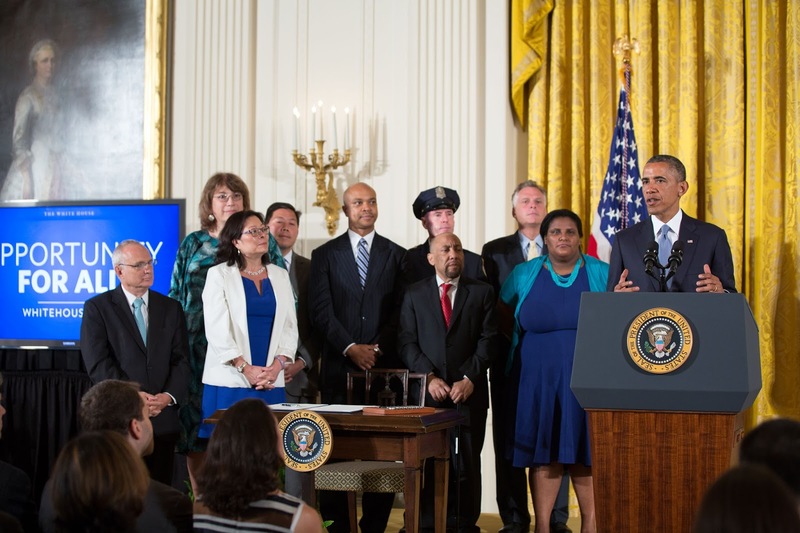 Faith Cheltenham stands on stage behind President Obama (and next to Black trans civil rights icon Kylar Broadus) at the White House, July 2014 in this previously unreleased photo from her personal archives. I could not have thought of a more fitting gift to a community President Obama so deeply supported! While Chelsea does not currently identify as bisexual, a rep with the Free Chelsea Network did indicate to me that she considers herself a strong bisexual ally. Through that same rep Chelsea sent her thanks to BiNet USA and the B in LGBT for our supportive efforts late last year that included a personal request or three on the manner to anyone who would listen in the White House, or elsewhere. Many of us did the same. Worldwide many of us prayed and hoped that a member of the LGBTQIA community would be released with time served, even while some remained concerned about how to support Chelsea while also upholding convictions surrounding legalities. Me, I'm always glad to agree with a constitutional law expert like President Obama! I am so proud that BiNet USA supported the efforts of the ACLU among others to #FreeChelsea via their campaign to educate folks on the difficulties she faced under a new administration. Some day I hope to see that same love and thought for far too many LGBTQIA people of color, as well as all people currently incarcerated or seeking relief from a deeply unjust system. Sorry for running late that one time as well, Mr. President! My bad. It was an honor to stand behind you in life and in policy. Fun meme too!